Nixon Motor Sports: Odds and Ends and Tire Safety Week! Odds and Ends and Tire Safety Week! We hope you survived the Monaco Grand Prix, Indy 500, and Coca-Cola 600 from last Sunday! NMS has basically been sleeping and resting since then to recover from all the on track action, (and going to work) so with no earth shattering events going on let's get caught up on some odds and ends. 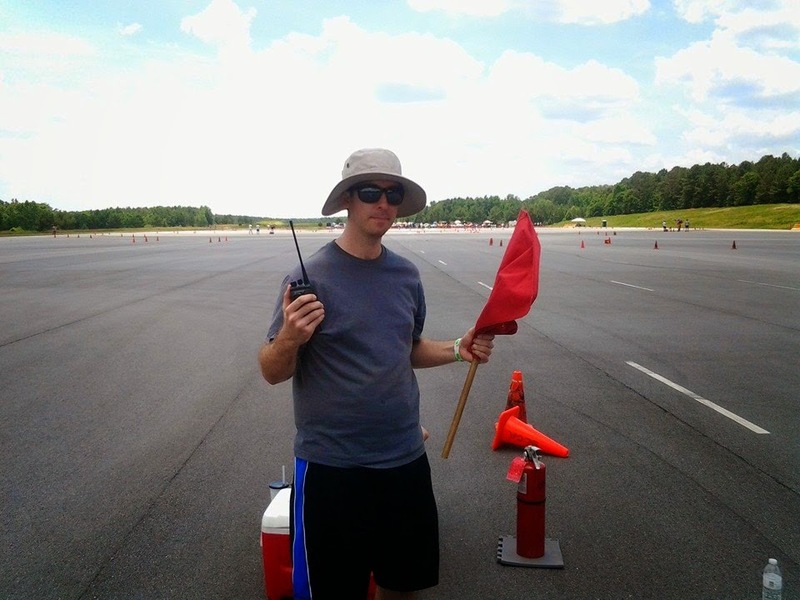 First off, congratulations to NMS driver Brian Nixon for being named chairman of the autocross competitions in the South Carolina Region of the Sports Car Club of America! He has gone way out of his way to donate his time and energy to helping their autocross events run smoothly, and like all the other volunteers that work hard to put on driving events, he does it because it's fun. Way to go Brian. Also, IT'S NATIONAL TIRE SAFETY WEEK! I had never heard of this before receiving the following email from Cooper Tire, so I'll take their word for it, and add that of course I totally support driver safety for everyone. them and know before you go! For more information, visit COOPER TIRE and click on safety." How do you know what the recommended tire pressure is for your car? It's easy, there should be a label or data plate somewhere on the driver's door or the car around the driver's door. While some cars have the same recommended tire pressure on all four tires, some cars (like the FIAT Abarth) have different pressures from front to rear. A few tips on the survey, it IS fairly long, but covers a lot of your opinions, so hopefully that means it will be a great way for fans to voice their opinions on a lot of F1 racing topics. I give the drivers a lot of credit for reaching out to fans and asking what they think, so what do you have to lose other than a few minutes of clicking on the computer? Looking ahead to the future, Nixon Motor Sports (yes, both of us) will ALL (2) be driving in Virginia Beach at the same event for the first time this year on Father's Day June 21 in the next Tidewater Sports Car Club autocross event. We'll report on that later, so stay tuned to see if the Miata VS FIAT showdown 2015 results in faster times for the Japanese or the Italian car in the latest battle of "LOSING COUNTRIES OF WWII AUTOCROSS BATTLE 2015"!!!!!! FIFTY FUN FAST PHOTOS FEVER! MAY DAY MAY DAY MAY DAY!! !